Blog & PodcastsFamily Legacy Video | Your life story in a custom video biography. The oldest members of the Baby Boom generation have started to retire. Because of that, the United States is now in the midst of the biggest transfer of wealth from one generation to another that the country has ever seen. But according to Barclays Wealth Insights, history has shown that 70% of family wealth fails to transfer to the third generation. One of the main causes of this failure is not preparing your heirs to appreciate and properly manage your estate; to be aware of the history behind it and to share in a family vision that will shape their stewardship of your family wealth moving forward. In this episode, podcast host, personal historian, video biographer, and Family Legacy Video, Inc. president Steve Pender is joined by personal historian and author Stephanie Kadel Taras, Ph.D. They share some real life examples of how their high net worth clients used life story legacies, in both video and print formats, as communication tools to pass along their values and visions surrounding family wealth to the next generations of their families. Stephanie is an author and personal historian. She lives in Ann Arbor, Michigan. She started her company, TimePieces Personal Biographies, in the year 2000. Stephanie works with clients who want to tell their own stories, hire a writer to work with family members, or document their organization’s history. Her 2013 memoir and social history of West Virginia, titled Mountain Girls, won a West Virginia Writers Book Award. Her 2008 history of Eckerd College won an Independent Publisher Book Award. In this episode, video biographer and Family Legacy Video, Inc. president Steve Pender offers some tips for folks who prefer to record their own family storytellers as opposed to hiring a professional video biography company like Family Legacy Video – perhaps because they can’t afford to hire a pro or maybe because they just prefer to do it themselves. Tip #1: Steady as she goes. • Mount your cell phone, DSLR, or video camera on a tripod. A shaky shot will distract viewers. • Use a video tripod if possible. • But – you can get away with using a camera designed for still cameras if you don’t move the camera. Tip #2: Walk to the light! • Use proper lighting to create a pleasing and flattering image. • Google “Three Point Lighting” to learn more about it. Tip #3: Shot composition: Stay close. • Legacy videos are very intimate productions. If you frame your shot too wide, that intimacy is diminished. • Try to go not much wider than someone’s waist. • Vary the shot from waist high, to chest high, to shoulder high. • Don’t go super close. That can be off-putting. Tip #4: Use an external microphone. • Don’t rely on your camera’s built-in microphone. • Use a lapel mic. A consumer quality microphone is not expensive to purchase. • A lapel mic will give you good sound, and sound quality won’t change if you move the camera closer or farther away. In this episode, video biographer and Family Legacy Video, Inc. president Steve Pender tackles the topic of pricing professional legacy videos. Producers with years of expertise organizing and planning video biography projects. Skilled interviewers and seasoned and creative video editors. Experienced camera operators and lighting directors, audio technicians, and makeup artists devoted to making you look and sound your very best on screen. Family Legacy Video crew members are talented professionals who need to be compensated accordingly. And then there’s travel. While Family Legacy Video is based in Tucson, a large chunk of our productions are shot outside Arizona. I’ve traveled to the east and west coasts, points between, even points beyond, like Hawaii. Travel incurs expenses like airfare, car rental, hotel rooms, meals, etc. It’s only fair to include these costs on top of the production expense – if not, Family Legacy Video could easily lose tons of money on each video. And yet, a lot of prospective clients seem to think this is somehow unfair, or they just want to save money by trying to find someone local to them, or they just don’t like the idea of paying for someone else’s travel expenses, as if our crew is taking a vacation at the client’s expense. Just to be clear, we travel as economically as possible, meaning we squeeze into coach airplane seats, we stay in moderately-priced hotels, and we don’t raid the mini-bars. It would be great if everyone could afford Family Legacy Video’s service – but the company needs to price productions at a level that compensates it fairly and allows it to stay in business. Whether you can afford to hire Family Legacy Video or you opt to go it yourself as a do-it-yourselfer, the key is not to wait – get started on your video biography now! It was the mid-1960s. I was nine years old, and about to dig into a hefty slice of chocolate cake at my cousin’s birthday party. I looked up, and for a split second I saw my uncle balancing a Super 8 movie camera attached to a metal bar bristling with lights. He flipped a switch, and suddenly it seemed as if I was looking directly into the sun. I waved and smiled, hoping against hope that the heat radiating from that nuclear glow wouldn’t melt my scoop of mint-chocolate chip ice cream. After a few seconds, the ordeal ended. As red and purple spots danced in front of my eyes, my uncle moved off to find other victims. For years, the only way to watch my painful attempt to “act natural” was to set up a movie screen and projector, thread the film over the sprockets, turn off the lights, fire up the projector and roll the film. That’s all changed now, of course. The miracle that was VHS (and, for a while, Betamax) videotape has given way to a plethora of video formats. Great for the consumer, but an ongoing challenge for those of us who create and distribute video, including video biographies, and who want to meet our clients’ needs for convenient viewing options and secure storage. DVDs (for standard video) and Blu-rays (for high definition video) offer long shelf life (as long as you use high-quality discs and don’t abuse them). Custom navigation (menus that allow you to play the entire video biography or select which chapters you’d like view) is a terrific feature. 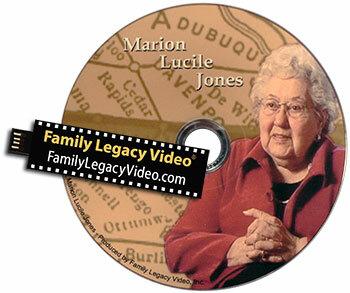 Plus, Family Legacy Video® creates beautiful DVD/Blu-ray artwork. So from the legacy video itself to the final package, clients receive a unique and custom video keepsake. 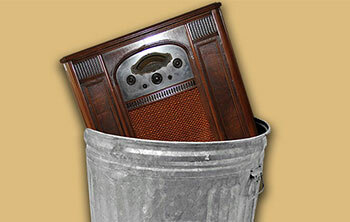 That being said, you need a standalone player connected to a TV or a computer with DVD and/or Blu-ray capability to play the discs. 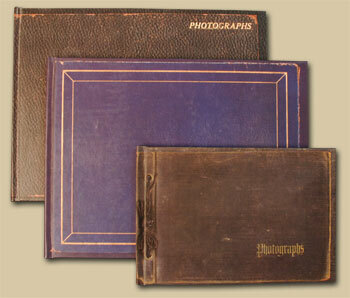 And, like anything physical, they can be lost or damaged. I recently worked with a client who viewed video only on a Mac laptop that didn’t have a disc drive. For this client, the choice was video files on an external drive, in this case a USB flash drive. The storage capacity of flash drives has skyrocketed in recent years, so finding one to fit even a high-definition video biography file is not an issue. What has been a concern for me is the packaging available for flash drives. While the quality of the video is paramount, I still want to present the video in a well-designed physical wrapper. Fortunately, I have found a provider of high-end custom-printed USB drives and boxes. While we can’t fit nearly as much printed information on the face of a flash drive as we can on the insert for a DVD case, a personal flash drive can now boast a very elegant appearance. If the audience for your video is spread over the U.S. or the globe, you might want to consider posting your video biography to a service like Vimeo. You will be charged annually for hosting. But, you can create a private account that will keep your legacy video away from the prying eyes of the public. You’ll have a link you can share only with those who you want to view the video. This could also be a great option if you want to be sure that younger generations of your family, addicted as they are to their mobile devices, will be able to watch you tell your life stories for years to come. Family Legacy Video® can certainly help you set up a private Vimeo account and upload your legacy video. One caution: Don’t make an online service the only repository for your video biography. No matter how secure they’re advertised to be, servers can crash or get hacked and companies can go out of business. Even if most of the family will be accessing your video biography on the web, be sure to squirrel away some physical copies (preferably a combination of discs and external drives) in a secure place, just for safety’s sake. And don’t forget to make sure someone continues to pay for the hosting – you don’t want your account – and your legacy video – deleted! 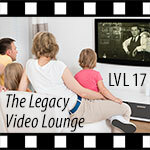 The bottom line: You have lots of options for viewing and storing your legacy video these days. Family Legacy Video® will be happy to deliver those that work best for you. In this episode of the Legacy Video Lounge podcast, personal historian and video biographer Steve Pender does what he’s been helping clients do for years: tell a story. In this tale, Steve takes us back to his childhood. The time: The early 1960s. The place: Suburban New Jersey. Steve describes his earliest memories and his neighborhood. He introduces a few of his neighbors and a favorite summer activity involving a lot of the neighbor kids: WIFFLE® Ball. Finally, he talks about one game that ran a bit too long one evening, only finishing thanks to the ingenuity of two friendly folks from next door. 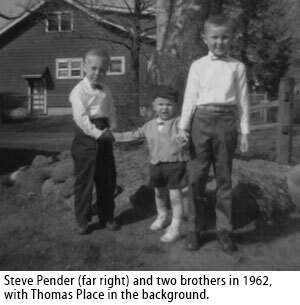 In this episode, personal historian and video biographer Steve Pender urges you to properly label and organize your family history assets and storyteller recordings so you can find them when you need them. Steve also talks about how he uses interview transcripts to create the editing scripts he uses for the longer documentary-style video biographies Family Legacy Video, Inc. creates for clients. Transcripts, which are text versions of interviews, allow you to scan interviews more efficiently and highlight the portions you’d like to use. Steve also cuts and pastes from transcript files to build the scripts he uses to guide the final video editing. You can create transcripts yourself, hire transcribers to create them, or use an online service like transcribeme.com.